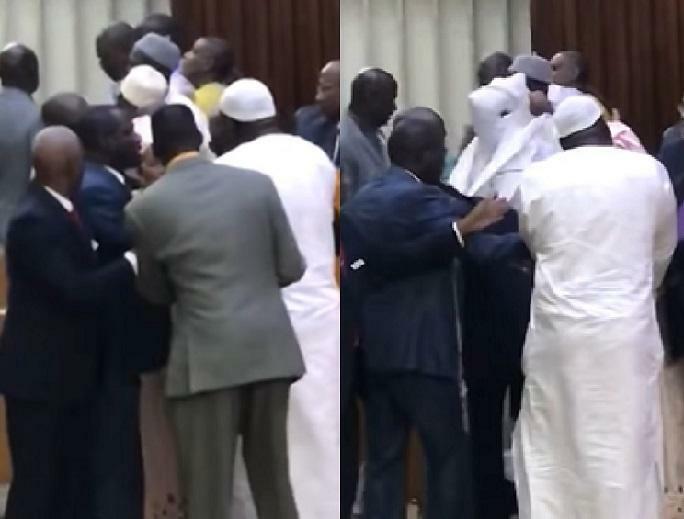 An almost general brawl erupted Monday in the Senegalese National Assembly. According to several Senegalese media. The majority and the opposition MPs came to blows. When the budget of the Ministry of Higher Education, Research and Innovation was voted on. It is the publication of the list of speakers and the time allotted to them which is the source of the fight. Sheikh Abdou Bara Doli Mbacké, president of the Abdoulaye Wade Coalition’s parliamentary group Who wanted to prevent debates by going up on a table. An attitude that caused the reaction of the deputies of the Presidential Coalition.